One of the main differences compared with the WW1 is the number of women who died in the conflict. While there were deaths in WW1 – such as those I have covered in the blog in relation to the Gotha bombing of Sydenham Road and the Zeppelin attack on Hither Green – they were a very small minority. The extent of aerial attacks by both German and Allied sides in WW2 changed this, as did the changing role of women in the armed forces. A memorial in Whitehall commemorates both the changes in roles of women during the War and their deaths. All three were buried and commemorated at Hither Green Cemetery. Lillian Allum of 47 Effingham Road (40). George Loader of 34 Boone Street died aged 85 in the Blitz on 21 September 1940. This probably became one of the sites for prefab bungalows after the war. There is a poignant memorial to those who died in Hither Green Cemetery. There was a V-1 attack on the station on 29 July 1944 – the day after the Lewisham High Street V-1 explosion, which was covered on the blog a year or so ago. There were four deaths including a mother and daughter from Walworth, Emily (25) and Jean (1) Champion, Violet Kyle of 11 Morley Road, who died in the Miller Hospital in Greenwich, and William Pontin (38) of Weybridge. There was considerable damage to Blackheath Village on 8 March following a V-2 rocket hitting the Methodist chapel in what is now called Blackheath Grove – there will be a specific post on this in a few weeks, 134 were injured and there were five deaths including Daisy Denny, Alice Drain and Eve Taylor who all lived in and around Blackheath, and Eve Leibe lived a little further away in St Mildred’s Road. Unless linked otherwise, the source for all the casualty information is the Commonwealth War Graves Commission. 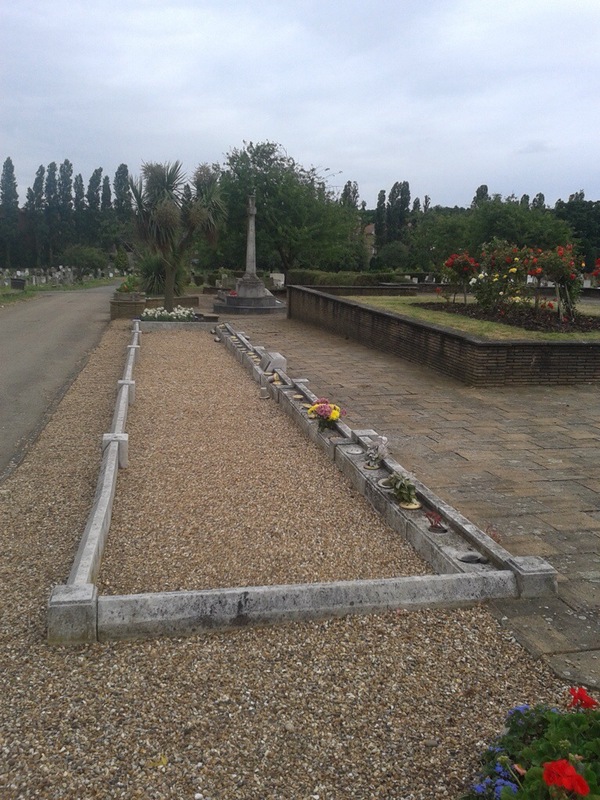 This entry was posted in Blackheath History, Cemeteries, Lewisham History, War Memorials and tagged Albion Way, Blackheath, Deptford Central Methodist Hal, Hither Green, Lee, Lee Park, Sandhurst Road School on November 4, 2015 by Paul B. It is sad, but perhaps not so surprising – the area I suppose is predominantly residential with a few shopping areas – industry and the then ‘male occupations’ elsewhere or in the forces. 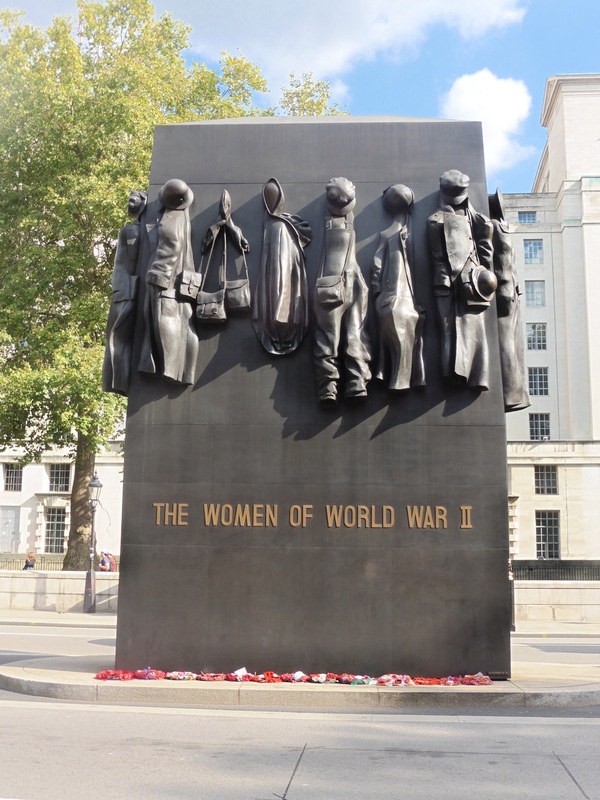 Seeing the women’s WW2 memorial in Whitehall was something of an eureka moment though. I found your post while researching the bombing of Sandhurst Road School, Catford tonight. My neighbour in Australia witnessed the bombing and has mentioned it for many years, but it’s only now I started researching it further and I am starting the interview process this week. He was 10 years old at the time. He hasn’t spoken to me about the children who died, but they must have been his classmates. So tragic. I noted that the mother of the Biddle twins was BIDDLE, EDITH ROSE was a Private in the Auxiliary Territorial Service [W/252146 ] died 11 November 1943 aged 28. I can’t help thinking about her husband and people like him who lost their entire families in the war. Just dreadful. It is something that I keep meaning to write about – awareness of what happened is diminishing. If you do post the interview on your blog or elsewhere, do post a link here and I’ll put it on social media here. There are some awful stories like the Biddles, multiple deaths in same family in both World Wars – I dread to think how the survivors coped. Thanks for visiting. The Biddle twins father really concerned me. I couldn’t imagine how he coped and haven’t found any references to him. I spoke briefly to my neighbour and he didn’t go to Sandhurst Road School but I think it was Brownhill Road school. It’s getting late. He was going back to school from lunch and he and a mate were shot at by the Nazi who bombed the school. He initially waved at the plane and then saw the iron cross. The incident was referred to in a book called “London Pride”. There are a few books by this name and I’m still needing to clarify which one it was. I will definitely link the story to you when I get it done. My late Mother was a teacher who had been evacuated to Kent in the early part of the War (the phoney War) and had returned to London.She was constantly being moved from school to school on return to London, as the need arose. At that time she was attached to Sandhurst Road school and was in Brownhill Road with the school Party.She and others were throwing children over hedges and into porches as the pilot was flying at rooftop height strafing them deliberately.It was a terrible memory for her, I know, and she never spoke much about it. That generation didn’t ‘open up’ but just got on with it. I guess it was part of the survival process for some after you have been attacked. I also think that the generations that followed have found it easier to talk about feelings and experiences. Thanks for commenting. Our family lived in Minard road next to the Sandhurst school, My father helped dig out the buried children as he was home for dinner, at the time I was at Plassey Rd school , just coming out at dinnertime, A bomb missed our school but a piece of shrapnel flew between Me & my friend scoring his cheek, naturally we fought over it to add to our collection. Some great memories there Ron, thanks for sharing. Emma Jane Green, who is listed above as dying as a result of the 17th September 1940 attack on Lee Park, and who lived at 40 Dacre Park (site now flats), was not 90 years old but two weeks short of her 99th birthday when she died in Lewisham Hospital on 3rd November 1940. Born Emma Jane Taylor at Ruyton in Shropshire on 17th November 1841, she was the widow of a gardener and florist, Edward William Green. I have researched the oldest people listed on the Word War II Civilian Deaths website, and of the two listed as older, one was in fact younger and the other died in India. Therefore Emma seems to have been the oldest recorded civilian casualty of the German air raids on Britain in the Second World War. Such a sad end to such a long life. May she, and all the other victims, rest in peace. Thank you – I’ll correct that at some point and add in the detail. I had planned to do a separate post at some stage about the attack, the houses destroyed and the homes that came afterwards.